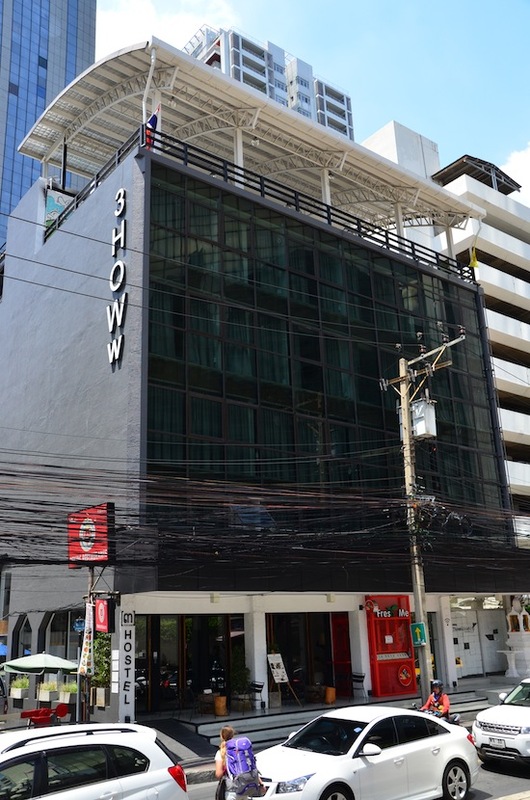 Expanding beyond its successful original property near Khao San Road, 3Howw Hostel opened a bigger and sharper urban-style hostel within sight of Asok BTS station in 2014. The spotless dorms and private rooms should do the trick if you seek a more luxurious experience over in Bangkok’s modern side. Average rating 8.2 from 1,430 reviews. Vying with Saphai Pae for the title of Bangkok’s largest hostel, the sleek five-storey structure looks and feels like an office building. Inside, a black-and-white theme extends to every corner and might leave some longing for a more colourul character. Others will appreciate the clean lines, immaculate spaces and abundant shared bathrooms, each with a partitioned hot-water shower, sink and toilet that ensures you won’t have to brush your teeth next to a stranger. Indeed, 3Howw is one of the better hostels in Bangkok for those who prefer to keep to themselves for at least part of the time. Available in mixed or women-only, the standard dorms come with good-quality mattresses and soft-cotton comforters set on long polished concrete “shelves” stretching towards windows on either side of a given room. Between each bunk, smartly designed barriers provide some privacy while also including personal reading lamps, outlets and storage space. All dorms are air-con, the whites and greys making them feel extra cool. 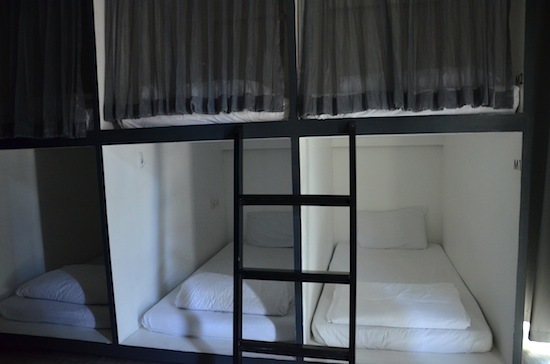 An extra 50 baht gets you a “capsule” dorm that you crawl into head first before closing a dark privacy curtain at your feet. We can’t get over the feeling of being stowed like a book in a drawer, but these pod-style beds do offer considerable privacy without forcing you to shell out for a whole private room (not too cheap in this part of town). The dorms hold anywhere from eight to around 20 beds, and rates are about where we’d expect for the comfort level and location. Reached by a wide central staircase, the upper floors feature small but nicely formed private rooms. While the abstract faces painted over the beds might freak out some, the cushy beds, safes, LCD TVs, decent-size bathrooms and leather daybeds looking out wall-size windows with great city views make these good options for cosmopolitan flashpackers. The deluxe is exactly the same as the superior, plus a mini-fridge and hot-water kettle. 3Howw’s privates compete with similarly priced rooms at some of the hotels. More views can be enjoyed on the large open-air roofed chill space that tops the building. There’s also a shared TV room, small kitchen and lounge on the second floor; we saw guests hanging out — but keeping to themselves — in all of these. If you want a better atmosphere for meeting and mixing, opt for the more colourful Bodega Hostel on nearby Soi 23, or head over to the intimate Fu House on Soi 8. As for location, 3Howw makes a stellar base for getting the most out of Bangkok. It’s just off busy Asok-Montri Road (aka Sukhumvit Soi 21), a quick hop from Terminal 21, the MRT subway at Sukhumvit station, Asok BTS skytrain station and even a khlong boat pier at the other end of the road. The immediate area is a shopping, dining and nightlife hub. One potential negative is the fairly close proximity to Soi Cowboy, one of the city’s red-light districts, though you can easily walk by it without getting pulled in. If you feel like going for a jog or swan boat ride, Benchakiti Park is a 15-minute walk away. While the staff at 3Howw were professional and helpful when we stopped by, they didn’t seem to have the “let’s be friends” outlook that you’ll find at the hostels mentioned above, among other smaller and more homely spots. 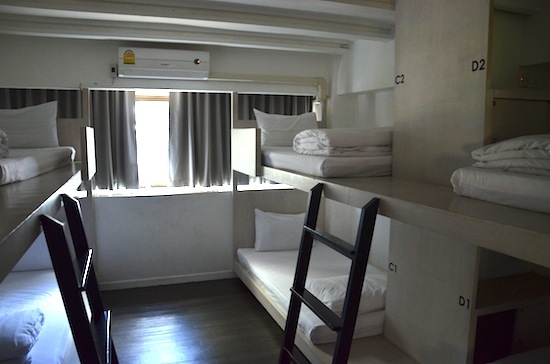 Check out The Blocks Hostel if you like the industrial-chic vibe but want to save some cash, or head one stop up the skytrain line to One Day Hostel if you’re after an even swankier dorm. 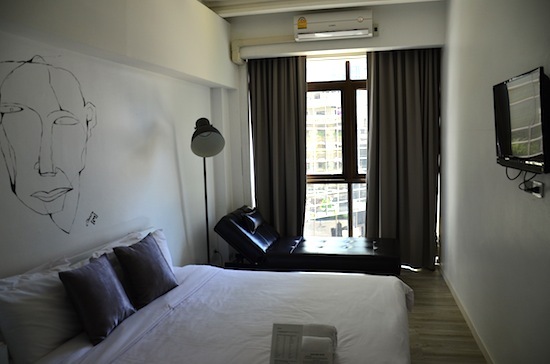 Check rates at 3Howw Hostel at Sukhumvit 21 on Booking.com.